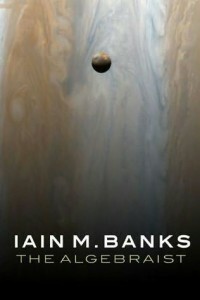 The Algebraist, Iain M. Banks, Orbit, 2004, ISBN 978-1841491554, 544pp. 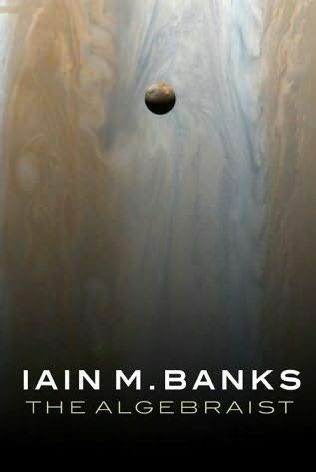 A science fiction “space opera,” but one that’s not set in (as far as I could tell) Banks’s Culture universe, The Algebraist is interesting and enjoyable, more for the little details that Banks throws in from time to time than the overall plot or characters. There’s a central mystery here that the lead character is striving to solve, and I figured it out about two-thirds of the way through, although I wasn’t totally sure and so was captured enough to make sure. Of course, by the time I’m two-thirds through a book, I’m likely going to finish it anyway. This is a book that was written after 9/11 by someone who attempts to work out in fiction some of the dilemmas of our lives. It’s buried in the adventure plot, but Banks riffs a bit on the ideas of cruelty, horrifying acts of war/terrorism (the small section describing the destruction of a space habitat that was being used as an example to get the overall resistance to surrender was quite harrowing), and what constitutes martial defense and offense. It’s fairly even-handed treatment (i.e., no culture is directly analagous to the U.S. or Iran or even vague terrorists), and Banks supplies no solutions, just fodder for thought. On the science fiction front, the afore-mentioned main plot device is a fairly interesting idea, and his portrayal of the Dwellers, long-lived creatures that inhabit gas giant planets (think Jupiter) was actually one of the more interesting alien creations, resembling a bit Michael Moorcock’s hedonistic dancers at the end of time in their games, their attitudes, and their relative power as compared to the other races. They are the Slow, while the humans are the Quick–quick to live, quick to be extinct, while the Dwellers remain for eons. But the best part of the book for me was Banks’s description of the Truth, the largest religion in the galaxy portrayed. Followers of the Truth believe that everyone is living in a ultra-realistic virtual reality that is some kind of psychology test, and the only way to break free of the computer is for everyone to truly believe–without any doubt–that this is true, with the idea that if at least half of the people believe that they are in a virtual reality, it will invalidate the test and cease operation. As a religion, it’s insidious, as much as its reliance in the idea of faith–that is, is the program still running because you don’t believe, or maybe it’s your fellow believers who don’t believe strongly enough, or maybe you need to do more recruitment–as the idea that one way to help bring about the end of the program is not only to convince more people of the Truth, but to get rid of some of those who refuse to believe (thus reducing the ratio of believers to non-believers). The novel as a whole isn’t as cohesive as some of his past ones, as he weaves in various side plots that take away from the main storyline. As long as those remain interesting and are the only flaw, I’ll forgive Banks for that.